Buddy’s has the expertise to help guide you through the renovation process, no matter the size of your project. 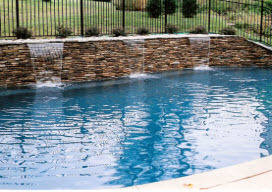 Get some fresh ideas by reviewing some of the projects we have completed for other Baltimore area pool owners. The options now available for swimming pools help make your backyard pool as distinctive as you desire. When installed properly, these options can be as trouble-free as they are beautiful. 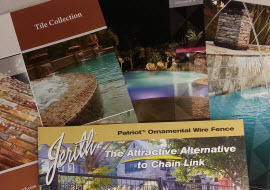 Let us send you a free swimming pool remodel kit to review as you begin redesigning your backyard oasis. 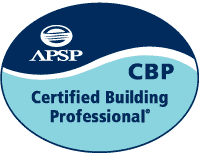 Are you looking for an expert swimming pool renovation specialist in the Baltimore metro area? Then Buddy’s Pool & Spas is your contractor. 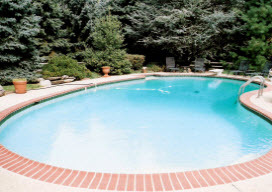 For over 35 years we have led the Baltimore area in local, quality, professional swimming pool renovation services. Whether you are looking for a basic resurfacing or a complete remodel, Buddy’s is dedicated to fulfilling all your swimming pool remodeling needs. No project is too large, too small or too complex for Baltimore’s leading residential pool remodeling company. Resurfacing the interior and updating the tile and coping will make a dramatic change to the overall look of your pool. One of the great things about owning a pool is that it can completely transform your backyard into a truly customized entertainment paradise unique to your personal needs and taste! With modern equipment, materials and truly personalized water features, your backyard is limited only by your imagination. Create the backyard vacation resort you've always dreamed of and customize it the way you want it.